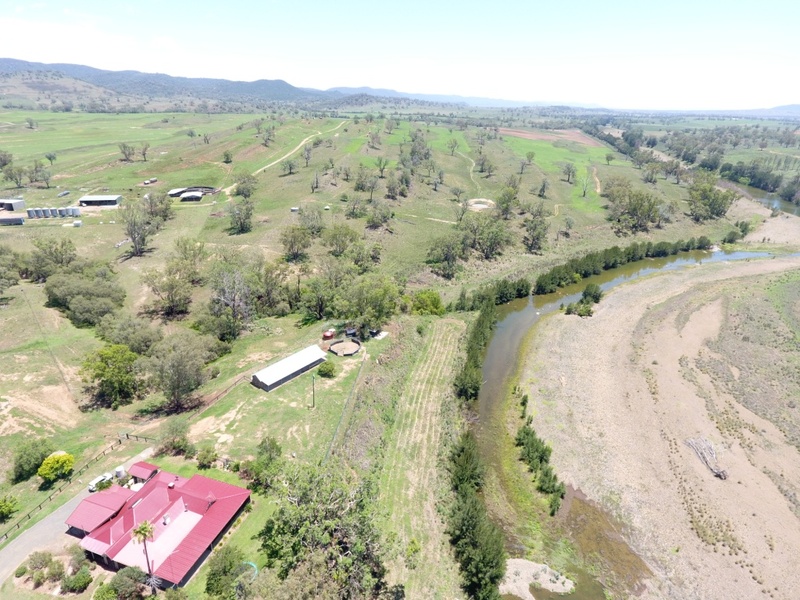 COUNTRY: The property comprises a mix of level river flats along Horton River running up to sloping grazing and a section of heavier timbered hill grazing. Approximately 750ha of river flats, 320ha mostly open grazing and 515ha of timbered hill. ARABLE COUNTRY: Approximately 750ha of arable country with 100ha lucerne planted and 100ha subtropical mix pasture planted. Balance fallowed through to oats 2019. FENCING: The property is fenced into 16 main paddocks with 2 central lane ways plus a number of smaller holding paddocks. Mostly all new with the entire property re-fenced in recent years. Majority is hinge joint, barb, steel post and steel end assembly. WATER: 3km Horton River frontage, pump on river that feeds into 4 x high tanks and gravity feeds to troughs. Most paddocks have 2 water sources. Also 12 earth dams, 2 semi permanent creeks. Domestic water supplied via River and rainwater tanks at buildings. All care has been taken in compiling this information sheet but it is prepared on instructions and details supplied by the vendor, for whom we act as agents only, and we cannot accept any responsibility for errors or omission (if any). Intending purchasers should satisfy themselves as to the correctness of these particulars. Contact Moree Real Estate Today!!! Email Moree Real Estate Now!